Compact size that is constructed of Fairtex durable Syntek Leather with high density foam core for maximum shock absorbency. 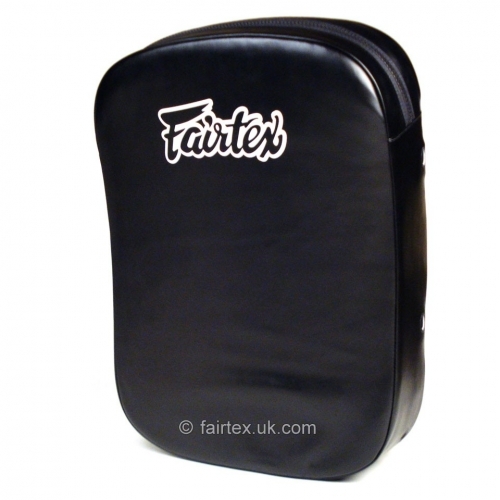 Feature Fairtex famous kick pad’s holder system for tight fit and maximum comfort of trainer. This version stocked is for a right-handed holder but a left handed pad can be custom made to order, please call for details on custom ordering.